There are lots of “made for quilting” storage items, but you don’t need to spend money for specialty storage solutions for your quilt studio. Look for alternative storage solutions that you may already have in your home to use in your quilt studio. If you’re like me you probably have a few UFO’s (WIP’s as I optimistically like to call them) in your studio and you need a way to keep all the fabrics and notions together until you are ready to work on that particular project. Pizza boxes or similar flat boxes work well for storing WIP’s. In my studio, I use clock boxes that I brought home from the school I work at. These were going to be recycled, but I recognized their potential and rescued them. They fit perfectly in the Billy bookcases that I use to store my fabric. I use a Frixion pen to write the project name and information on the box so I can erase this and reuse the box for another WIP. Keeping my WIP’s in boxes like these allows me to stack them on a shelf and they are then organized. This allows me to pull out a box when I want to work on that project. As I do hand embroidery, I like to have my needles, threads, thimbles, and other hand sewing items in a small container. I’ve found the perfect box for this purpose: a Purdy’s chocolate tin! Not only do I get to enjoy the delicious chocolates, but the tin is the perfect size to hold all my stitching items. A double win! If you don’t have a Purdy’s near you (they are a Canadian company), you might be able to recycle other similar tins or boxes. Another example is the peanut brittle box that I saved. It’s larger and has a magnetic closure that I really like. 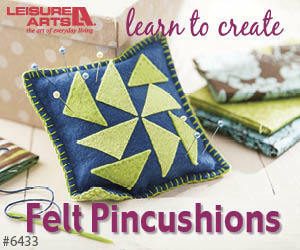 This works well for small project pieces, such as half-square triangles or EPP (English Paper Piecing). Makes you look at food containers in a whole new light! Consider other furniture pieces that you might have in your home for storage or cutting or pressing stations. In my studio, my cutting table is actually old kitchen cabinets that we repurposed into a cutting table and storage area. My pressing station is an Ikea table top with storage cubbies underneath and the pressing mat itself was custom made to the size I needed. If you’d like to make your own pressing mat, click here for a step-by-step tutorial. For more information on storage containers that I use in my quilt studio, click on the image below. The money you save by recycling alternative items to use in your studio can be used to buy fabric, notions or those specialty items that you actually need - and that’s a win too!